Commercial Move - integratedmoving - Integrated Moving Systems Inc.
Any Business. Any Size. Any Location. 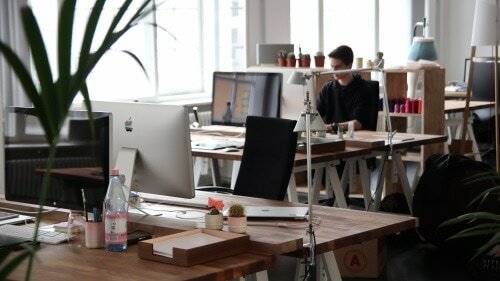 Planning an Office Move ? There is no doubt that moving a business is a stressful and mission critical event. Irreplaceable records must be transferred securely, delicate office machines moved with care – all with a minimum disruption to your employees and work routine. To ensure your office relocation is efficient, cost effective and trouble free it is essential you choose the right company for the job, one who has the experience and knowledge to execute a problem free office move. After carefully assessing your needs you will be provided with a detailed moving plan including the number of people and trucks you will need and how long you can expect your move to take. Our moving consultant will forecast any possible problems and implement steps to avoid them. Your consultant will also develop a strategy that will factor in access points, elevators, parking, stairs, loading ramps, and take note of any special equipment that may be needed for your move. Expert advice, when you need it! IMS Inc. will provide you with colored labels to keep track of each item that is to be moved. Proper identification and labeling will speed up the moving process as well as ensure correct placement at your new office. 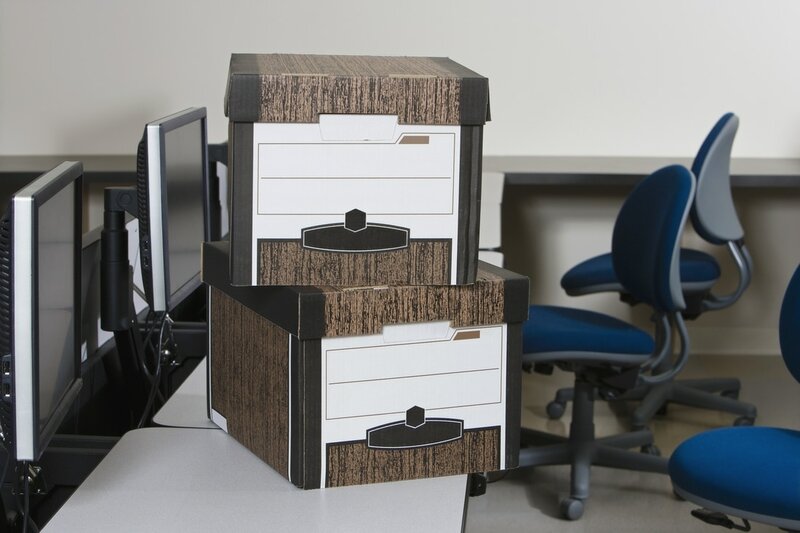 IMS Inc uses plastic office moving bins for packing files and desk contents. Although we recommend packing be done by our professionals, bins are available to rent if you and your employees wish to pack the contents yourselves. 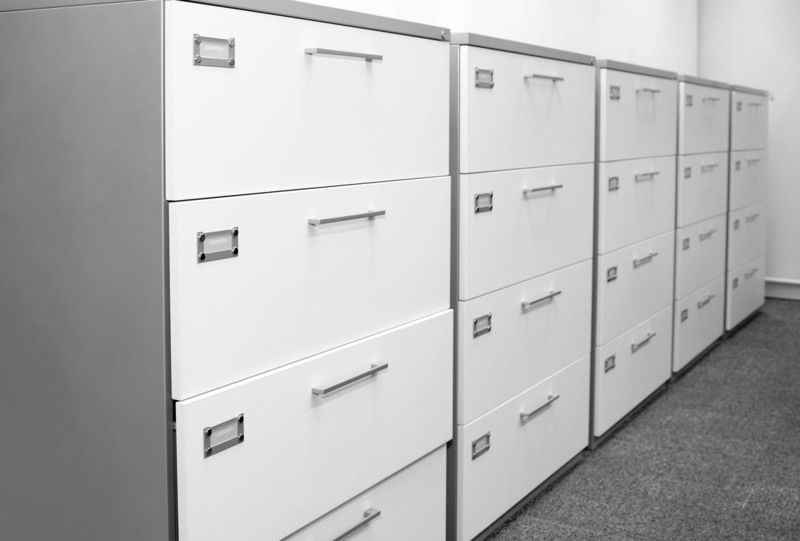 IMS Inc also has numerous “file carts” for the transfer of libraries and large filing systems. As well as reducing packing time, these carts allow for continuous access to your files and ensure a completely organized file transfer. IMS Inc uses special computer dollies, designed to protect and carry up to 12 machines at a time. Our air-ride trucks and special handling equipment will give you peace of mind when moving your sensitive equipment. Often outside experts have to be called in to perform special services. Extra large items may have to be moved on the top of an elevator, or particularly heavy items such as safes may need rigging and winching by professionals. We have established relationships with specialty service providers. Our moving consultants know who to call to get these jobs done most effectively. Because of the many precautions we take to safeguard the contents of your office in our care, only a small number of our customers have a need to file a claim. We are nonetheless human, and upon occasion, mistakes do happen. We want to make sure you are fully protected during your move, so when moving with IMS Inc, you can choose to purchase a valuation option that protects you, including special certificate insurance for high value items.